Why isn’t my professor black? A couple of weeks ago I attended a panel discussion at UCL called, simply, “Why Isn’t My Professor Black?”. Race in academia and the experience of being a BME academic is something I’m keenly interested in: I’ve written about UCU’s report on race, about intersectionality and some reflections on intersectional experiences in teaching and learning, and the effort one expends entering spaces where I am a research subject rather than a researcher and activist in my own right. The statistics are shocking: of the 18,550 professors in the UK, only 85 of these are Black – and only 17 of the 85 are women. This panel brought together six Black academics to not only discuss why there are so few Black professors, but to imagine the conditions where Black academics could thrive. You can watch the full panel on youtube, read the Storify of tweets here and there’s a summary of the event and each speaker’s approach on this blog. Dr Nathaniel Adam Tobias Coleman‘s talk, “Philosophy is dead white – and dead wrong” is online here. I’ve found a couple of blog responses but would love to add more – if you’ve written something, please let me know in the comments. Yewande Okuleye has a series of posts focusing on contents of the panel discussion, responses from attendees and participants, and her reflections. Leona Nicole Black also has some really interesting reflections on the event. Predictably, I’m interested in the context informing this. Currently open in my tabs is a Guardian article reporting that only three black applicants win places to train as history teachers, an Irish Times article on the everyday reality of gender imbalance at professor level at third level, a Salon article about why white guys don’t (have to) get it and that is why dominate TV, a NYT piece on racial microaggressions in university, a Guardian article on why many academics are on short-term contracts for years, Nadine Muller’s collection of posts on academia and mental health, research showing that Black and Minority Ethnic communities are faced with double the levels of discrimination and PhD(isabled). 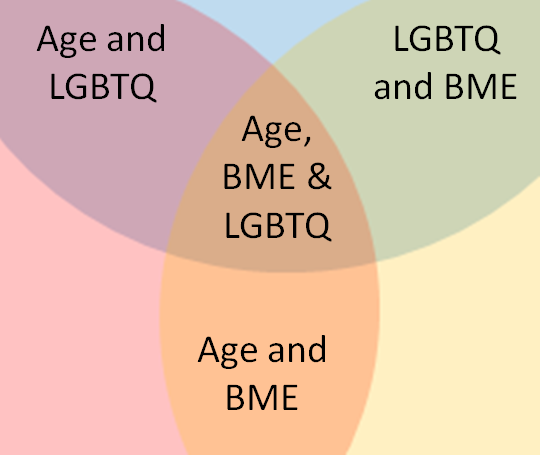 As intersectional analyses show us, these different issues interact and compound each other: to be BME with poor mental health is not to experience two separate issues but instead to experience intertwining, inextricable issues that mean that such an experience is different from that of a white person with mental health issues or a BME person without them. 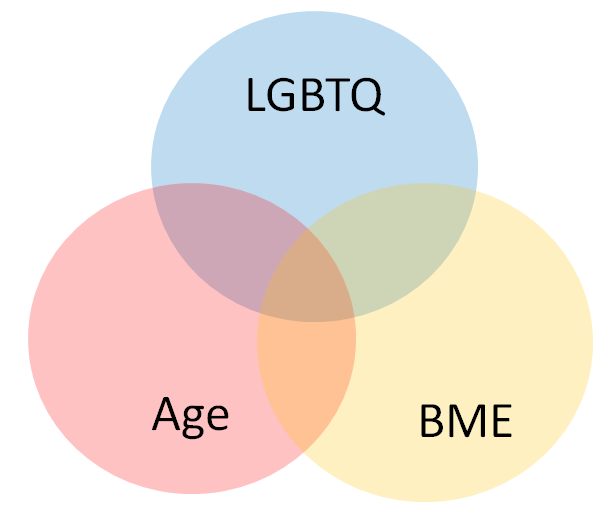 If “straight white male” is the lowest difficulty setting there is, Black and minority ethnic academics – particularly women, particularly those with mental health or disability issues, particularly LGBQ people, particularly trans* people, and particularly those whose identities encompass all of these things – are playing the academic game on a much harder setting. And it shouldn’t be this way. I could make an argument in terms of academic labour – if the academy loses us through neglect and hostility and lack of support, it loses our perspectives. It loses our critiques, it loses our intellectual gifts, it loses what we can bring to the university in terms of funding and prestige and league table rankings. It loses our abilities to engage with and mentor students, which will no doubt be reflected in the National Student Survey. However, I am more interested in the damage it does to those in this system – the students and scholars who must struggle in ways not expected of anyone else, and who, when we raise the issue, are told that academia isn’t for everyone, and maybe we would be happier doing something else? What does it mean to work in such an environment, and what is it doing to us? What does our labour mean when it is produced in these conditions? 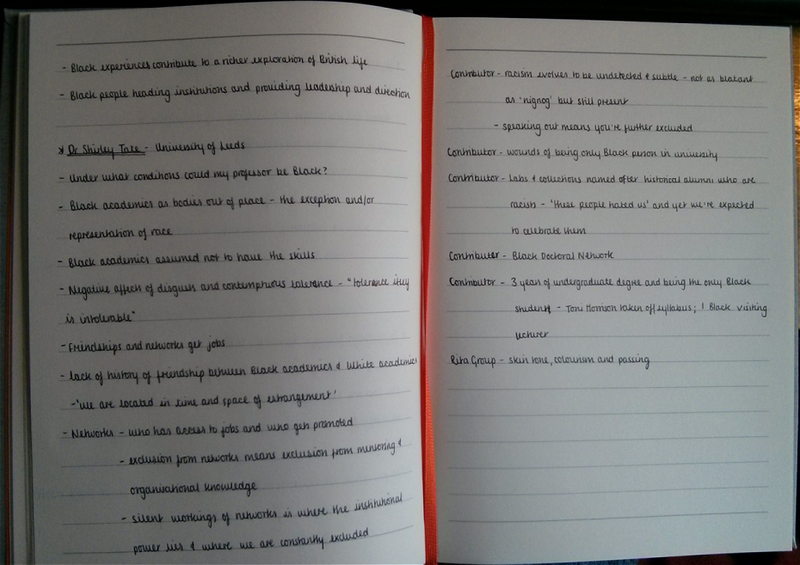 Recently I read Pat Thomson’s post about research participants finding the things written about them. Today, I went to a seminar on Older LGBT people: intersections of ethnicity, culture and religion. As someone who lives in the intersections and who is queer, non-white, has a religious background and family, and who will (probably!) one day be old, I wanted to find people who had a similar set of identities, who might have had similar experiences, and who might be at different stages in their lives. I don’t know what my old age would look like. I wanted to find my elders. I went to UK Black Pride this summer (here’s my friend Maryam’s post and photos) and it was an amazing, affirming space to be welcomed into with all my identities acknowledged. It was unforgettable to spend the night watching gay Asian men dance to bhangra and dance their own love stories – take the songs of childhood film-watching and make them theirs, fiercely claim that music and movement. It was equally unforgettable to spend the following day hanging out with a queer Bengali friend and allowing his identity as a queer man, as a brown man, as a Bengali man to become intelligible in this space. I felt like a part of me clicked into place when I was surrounded by the joy of my Brown and Black LGBTQ siblings. When I got there, I was unsurprised to find that the room was overwhelmingly white. It was a close run thing that I didn’t simply turn around and leave, or that I didn’t leave during lunch. I enjoyed the presentations, particularly those by Dr Roshan das Nair and Professor Andrew Yip. The discussion was a mixed bag. 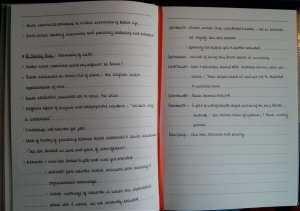 I think our group did pretty well, and we discussed things like the interaction between non-white and LGBT gendered presentations, invisibility as erasure, the responsibility of making our spaces ready to welcome people before they are there, and the specific healthcare needs of LGB and especially trans people (particularly with dementia). However, I was struck by the lack of non-white LGBTQ people in attendance, particularly older people. People researching the intersection of age, sexuality and race noted that they’d found it difficult to recruit participants, even when they went looking. There’s an argument that these communities don’t exist, but I argued that just because these communities can’t be seen by white people doesn’t mean they don’t exist. Minorities have always been good at hiding; why should older non-white LGBT people be any different? The intersection of LGBTQ sexuality, gender, religion and age is a difficult one. As one white researcher told us, her Black mentor had rebuked her when she noted that she was having trouble finding Black women for her research: as her mentor said, why would these women trust her with their stories? As someone for whom this intersection is a tangible reality, going into an overwhelmingly white room feels unsafe – that I cannot share these stories and experience the solidarity of my queer non-white spaces. Instead, I feel like I have become a display object, a teaching moment – that I am there to educate others while being denied the connections I want to make. People seem to expect me to share my experiences at their convenience, and often don’t acknowledge the psychological toll this takes. It’s as a form of self-care that I have become ruthless about which projects I am prepared to engage in; I will not let someone pick at scabs over wounds that are broken open again and again. I think there’s a conversation to be had about research fatigue in people who are asked time and time again about their experiences. I am tired of half-baked requests and poorly designed surveys being sent to the LGBT groups I help with. I am tired of researchers expecting me to hold out difficult, painful experiences for their scrutiny without giving me a reason to trust them. I am tired of this being a one way exchange. So while I had some good conversations and met some interesting people, I can’t help but feel a bit dispirited by the day. Naturally, I find these figures troubling – and, if I’m honest, not a little dispiriting. The UCU report notes that BME UK nationals are particularly underrepresented – unfortunately, their data isn’t presented in a particularly helpful way to interpret this. Universities are brilliant places for worldwide collaboration and I’ve been lucky enough to work with people from all over the world. However, I do think it’s worth focusing on UK nationals because it highlights failings in our own education system and university recruitment processes. Appointing more international BME academics would be great for diversity but I’m also concerned that it would lead to universities failing to take a very careful look at recruitment of UK BME academics and the barriers that stand in their way. As a recent example, this article on discrepancies in attainment between BME and white students was published two months ago. I find that really troubling – to me, if this is happening across an entire cohort of students, it suggests that something is going wrong at an institutional level. And crucially, if BME students are leaving university without the Firsts and 2.1s necessary for postgraduate study, that suggests problems for a future generation of UK BME academics – namely, that they won’t be there. There are a few points I’d like to make about the report. Firstly, while the UCU breaks down figures into “Black”, “Asian”, “Chinese”, “Other Asian” and “Other” it’s not clear how these groups are defined – who, exactly, is included in the “Other” groups? The terminology itself is…less than sensitive (we’ve heard of post-colonialism and Othering yeah?). For that matter, it’s not clear who’s included in the “Asian” category – I’m assuming people of Indian origin, but what about people of Pakistani, Bangladeshi, Sri Lankan origin? To me, there’s a lack of clarity about who was included in the report. Secondly, this is the sort of area where an intersectional analysis would be really helpful; basically, what happens to applicants who are BME and women? Is their experience of institutional discrimination on two fronts reflected in their employment rates, or is something else happening? Thirdly, a breakdown by subject area and discipline would be beneficial. My gut instinct is that STEM subjects might be a bit better than art and humanities at employing Asian and Chinese professors, but without data I’m wary of generalising in such a way. I think this is a useful starting point but there are so many questions this report doesn’t answer. It’s clear that there is massive underrepresentation of women and BME academics at the highest level of academia – are universities going to do anything about that? Last week, a post appeared on the Gay Girl in Damascus blog reporting that the blog’s author, Amina Arraf, had been kidnapped by security forces. People responded. They tweeted, they wrote to Syrian embassies, the news got picked up by LGBT and mainstream news. However, there were doubts about whether this person existed. Liz Henry observed “I would hate to have my existence doubted and am finding it painful to continue doubting Amina’s. If she is real, I am very sorry and will apologize and continue to work for her release and support”. What if this person did exist and was in danger? Amina may not exist – but what if she did, what if she had been kidnapped and was being forcibly deported, beaten or abused? The stakes seemed too high to just dismiss it. Liz Henry had her doubts, based on experience with other hoaxes, and wrote about them in two posts: Painful doubts about Amina and Chasing Amina. Ali Abunimah and Benjamin Doherty carefully examined what evidence they had to work out Amina’s identity. The Amina blogger turned out to be Tom McMaster – a 40 year old male Masters student studying in Edinburgh. He apologised, claiming that he did “not believe that I have harmed anyone — I feel that I have created an important voice for issues that I feel strongly about”. LGBT bloggers in Syria were understandably furious. Contrary to McMaster’s claim that he did not harm anyone, they describe tangible ways he has made their lives and online activities less safe – drawing authorities’ attention to their activism, forcing them back into the closet, caused people to doubt their existence or the authenticity of their reports. As Brian Whitaker says, “[l]iving a fantasy life on your own blog is one thing, but giving an interview to CNN while posing as a representative of the region’s gay people appears arrogant and offensive, and surely a prime example of the “liberal Orientalism” that MacMaster claims to decry”. In a weird twist, the editor of “Lez Get Real”, Paula Brooks, has also turned out to be a straight man. He said that he “didn’t start this with my name because… I thought people wouldn’t take it seriously, me being a straight man”. I have to admit, with some annoyance, that I have not noticed straight, cisgendered, white men as having a particular problem with “not being taken seriously” – this is privilege 101 stuff. What this seems to be is a clash of internet cultures. On one hand, the internet is perceived as a playground for identities. As Liz Henry notes, people may have good reason “to conceal their identity and to develop relationships online under a screen name. They might like to express an aspect of their personality that would not mix well with their professional life. They might have gender identity issues they are working through. They might be in a family situation that makes it unsafe for them to come out as gay. They might write fiction using characters whose stories are under copyright”. However, on the other, citizen journalism and minority blogging relies on authenticity; of you experiencing something that mainstream media doesn’t cover. It relies on telling your truth, shining light into areas where top-down media does not, or cannot, reach. It can be incredibly powerful – Baghdad Burning was just one example. There’s a tension between the internet as a consequence-free playground for identity, and the fact that sometimes these identities have very real consequences. I think what bothers me is the deliberate lying, manipulation and deception. Not stating your identity and allowing people to make their assumptions is one thing. Experimenting with different voices and persona in a setting where that’s acceptable and acknowledged is another. But creating a persona that is a member of a minority group and using that to speak on behalf of people when you do not share their lives, experiences or oppressions, and putting real people in danger when they cared about your created persona? That seems different, and makes it a much more complicated, uncomfortable and deeply problematic situation. Edited to add: A few links which I thought were interesting – Said says Amina Hoax MacMaster-mind is Orientalist, Identity drag: Amina, appropriation and accountability and Men masquerading as lesbians online: allies or cowards?.